The share price for SSE PLC ticker code: LON:SSE has stepped up 1.24% or 17 points during the course of today’s session. Traders are a positive bunch throughout the session. The high for the period has peaked at 1384 dipping to 1365.5. The number of shares traded by this point in time totalled 2,500,772 whilst the daily average number of shares exchanged is just 3,502,674. The 52 week high for the shares is 1484 equating to 117 points in difference to the previous days close of business and a 52 week low sitting at 1176.5 a difference of some 190.5 points. SSE PLC now has a 20 moving average of 1374.43 and a 50 day moving average at 1386.54. The market capitalisation is now £14,255.77m at the time of this report. All share prices mentioned for this stock are traded in GBX. Mcap is measured in GBP. This article was written with the last trade for SSE PLC being recorded at Tuesday, July 17, 2018 at 4:35:11 PM GMT with the stock price trading at 1384 GBX. Shares in Standard Life Aberdeen PLC found using EPIC: LON:SLA has increased 1.44% or 4.4 points throughout today’s trading session. Market buyers have held a positive outlook during the session. The periods high has already touched 312.05 dipping to 303.82. The total volume of shares traded by this point was 10,742,961 with the daily average at 11,223,353. The 52 week high for the shares is 448.6 about 142 points in difference on the previous days close and a 52 week low being 303.82 a difference of some 2.78 points. Standard Life Aberdeen PLC now has a 20 simple moving average of 329.34 and the 50 day moving average at 349.47. The current market cap is £9,447.54m at the time of this report. The share price is in Great British pence. Mcap is measured in GBP. 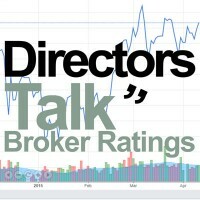 This article was written with the last trade for Standard Life Aberdeen PLC being recorded at Tuesday, July 17, 2018 at 4:35:01 PM GMT with the stock price trading at 311 GBX. 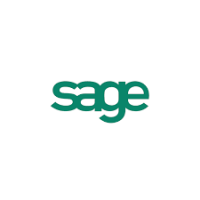 Shares of The Sage Group plc found using EPIC: LON:SGE has climbed 1.64% or 10.2 points throughout the session. Market buyers have remained optimistic throughout the trading session. The periods high has already touched 633.2 and a low of 620.2. The volume total for shares traded up to this point was 2,434,177 while the average shares exchanged is 3,804,458. The 52 week high price for the shares is 825.2 which is 202.2 points different to the previous business close and a 52 week low sitting at 536.2 a difference of some 86.8 points. The Sage Group plc now has a 20 moving average of 629 and now the 50 day moving average at 656.62. The market capitalisation currently stands at £6,821.38m at the time of this report. The share price is in GBX. Mcap is measured in GBP. This article was written with the last trade for The Sage Group plc being recorded at Tuesday, July 17, 2018 at 4:35:07 PM GMT with the stock price trading at 633.2 GBX. The trading price for TUI AG found using EPIC: LON:TUI has risen 1.07% or 17.5 points in today’s trading session. Buyers have remained positive throughout the session. The periods high has reached 1658 dropping as low as 1632.5. The total volume traded comes to 511,566 with the average number of shares traded daily being 1,131,226. The 52 week high is 1816 some 176.5 points in difference on the previous days close and a 52 week low being 1145 a difference of some 494.5 points. TUI AG now has a 20 SMA of 1691.65 and now its 50 day simple moving average now of 1735.53. The current market capitalisation is £10,951.82m at the time of this report. The currency for this stock is Great British pence.Market cap is measured in GBP. This article was written with the last trade for TUI AG being recorded at Tuesday, July 17, 2018 at 4:35:10 PM GMT with the stock price trading at 1657 GBX. Click SGE SLA SSE TUI for the full archive.